White Vinegar: Whether you need to clean your windows, wipe down your mirrors, do laundry, clean your shower, get rid of your garbage disposal odor, clean out your faucets, freshen up your hands from some lovely odors, disinfect your home from the stomach bug, get rid of an ant problem, or get stickers off the odd places toddlers tend to put them, White Vinegar is your friend and can tackle any of these household chores. Olive Oil: Instead of scrubbing your hands raw after painting your bedroom walls, try soothing your hands with olive oil and a pinch of salt...voila! To gently clean wooden surfaces or other furniture without any toxins to the process, use olive oil to give it a little shine and remove dust. Olive oil is also a lifesaver when it comes to those creaky door hinges, making those stainless steel appliances shine, getting gum out of your kids’ clothes, and conditioning leather furniture or car seats. Lemon: Perhaps one of the most useful natural hacks to attack problems you didn’t even know you had, lemons don’t just do their magic in Chick-fil-A Lemonade. To help prevent the burning or aging smell your vacuum can sometimes let out, add a few squeezes of lemon juice into the vacuum and the air will smell so fresh and so clean. In addition, try adding a teaspoon of lemon juice to your dishwasher detergent to prevent grease, placing a few drops of lemon juice on a sponge to remove shower scum (without bathing in toxins), rubbing half a lemon over those stinky wooden or plastic cutting boards, and throwing in about ½ cup of warm water with lemon juice to your load of whites to remove any stains. Baking Soda: Not only is it one of the cheapest cleaning supplies to purchase, but Baking Soda is also one of those agents that can help aid scenarios you thought were doomed. If your dog happens to use your bedroom floor for their business instead of the yard, pour some Baking Soda over the stain and odor, leave it there for about fifteen minutes, and then vacuum the pile up. When it comes time to sanitize the playroom and its germ filled toys, forget the toxins and instead mix Baking Soda with some warm water for harmless and effective results. Other functions include getting burnt food off the bottom of pans, helping subside ashtray stale smells, removing the “wet dog” odor from your pets, and removing scuff marks from floors. Rubbing Alcohol: If you or your kids tend to learn the hard way when it comes to leaving pens in your pockets through the washing machine, Rubbing Alcohol is your new best friend. 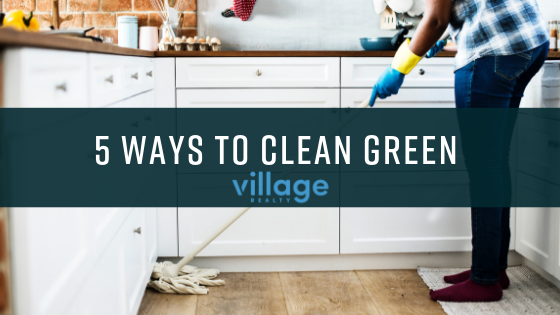 Known for its quick fixes, you can use Rubbing Alcohol to sanitize frequently used electronics around the house, remove hairspray residue on counters and mirrors, thoroughly clean dry erase boards on your desk, and get those atrocious grass stains out of athletic uniforms or play clothes. Last updated April 22 at 9:46 am.